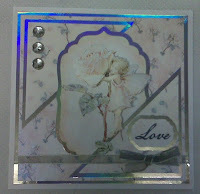 For my second posting I will show you some of the cards I made for the Crafter's Companion Challenge Blog. The blog was closed over Christmas but should be up and running again soon. 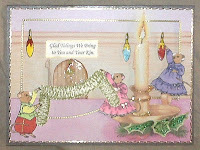 This card was for the 1st challenge, but I missed the closing date. These 2 are my favourite layouts and I have used these on several occasions since the challenge. This is the card I sent to my cousin in Australia. It was the last challenge I entered before Christmas. 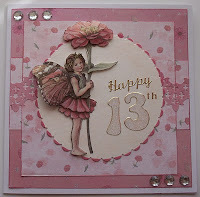 Hope you enjoyed these cards and hope you will hop along and join in when the challenges are up and running again.